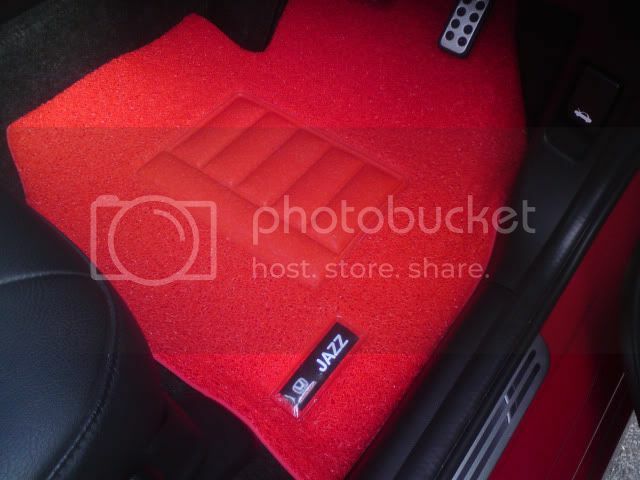 I am offering the service of customised carmat for all car models. 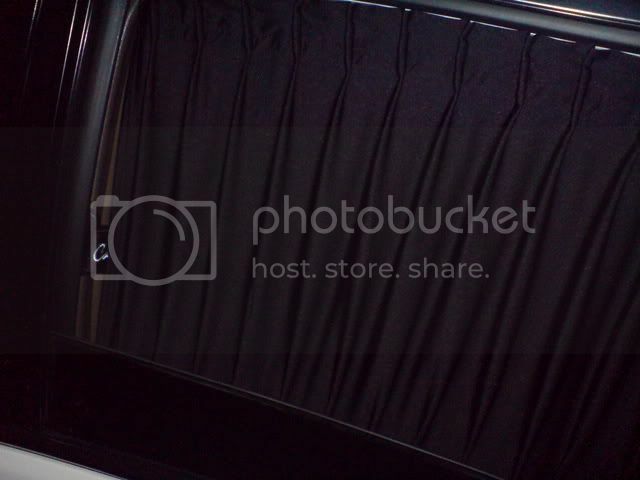 Carmat quality ranging from 3AAA premium ( Single or Dual tone ), Korea premium grade ( Single or Dual tone ) to 3M Nomad. 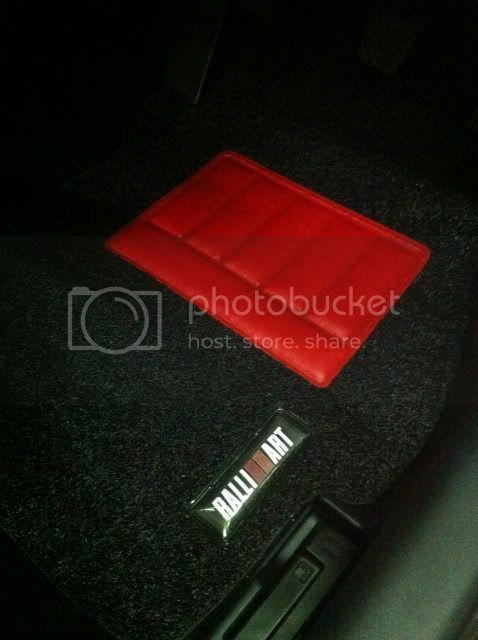 All complete sets come with good quality heel pad for the driver side and anti-slip grippers. 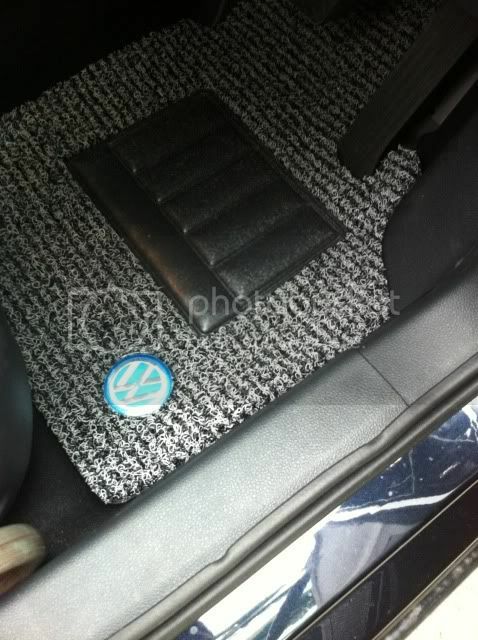 In addition, all driver's car mat comes with a customised logo. Comes in many colors such as grey, black, red, blue, brown, biege, green and yellow. 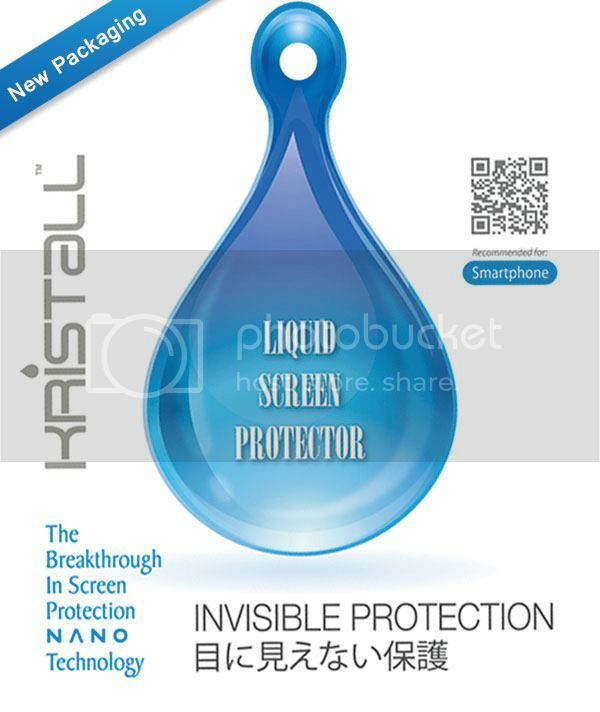 The Breakthrough In Screen Protection Nano Technology for Smartphone. 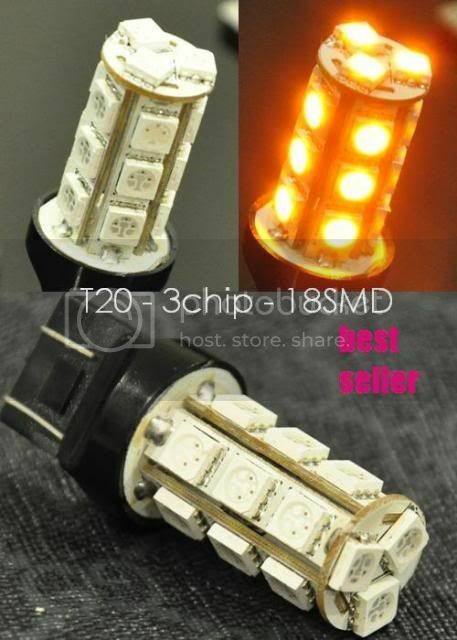 - Easy to apply and suitable for DIY application. - Protecting against abrasions and scratches. It has a simple yet elegant contour design that harmonizes with any setting. 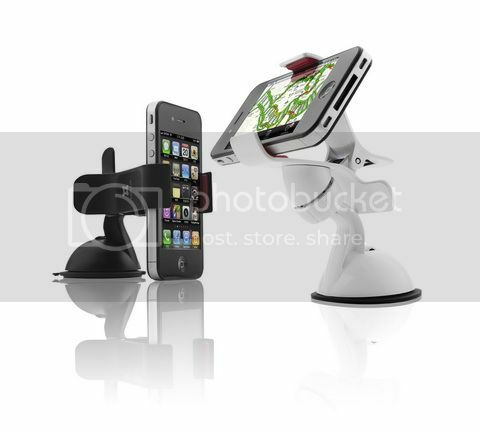 It is made with a hard scratch-resistant aluminum and a smooth surfaced polycarbonate to prevent the device from being scratched during use. 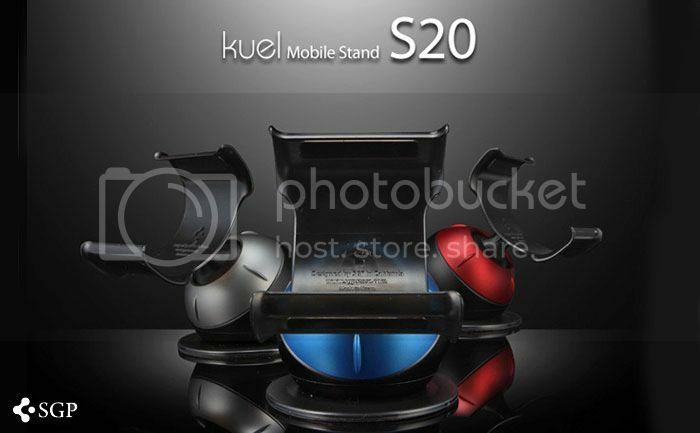 - The ball-and-socket joint inside the S20 adds extra friction to secure the stand in any angle. 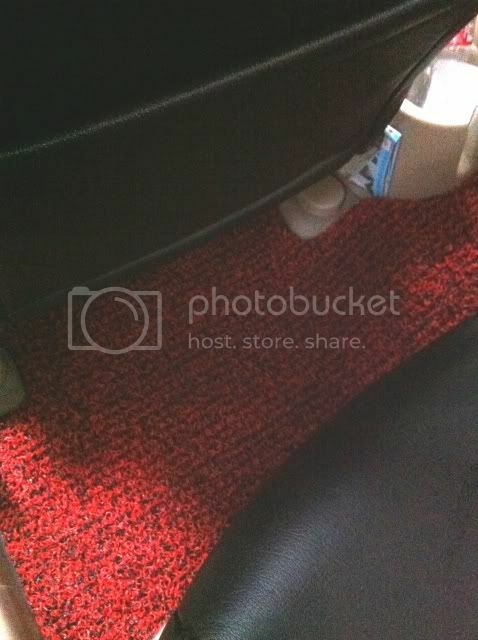 The best thing about the ExoMount for iPhone is that it’s not just for iPhone. 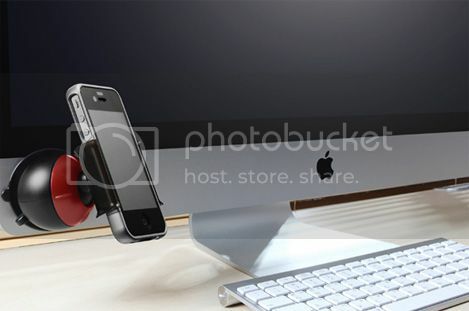 The universal ExoMount can be used to mount your iPhone 4, iPhone 3GS, iPhone 3G, iPod, GPS device, or any other gadget with a 5-inch or smaller screen. 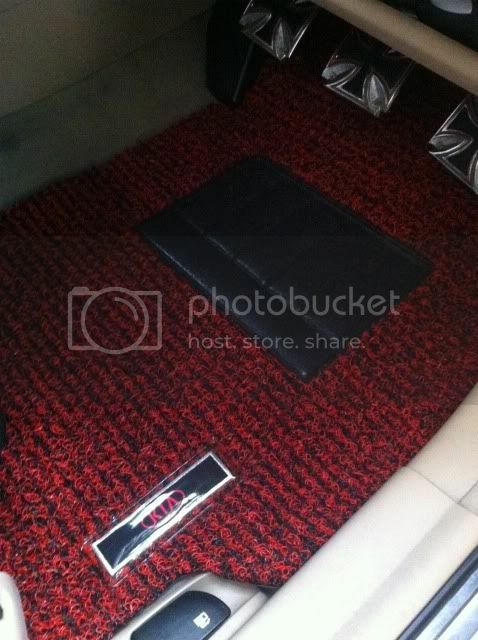 Price : Please call to check for pricing !!! 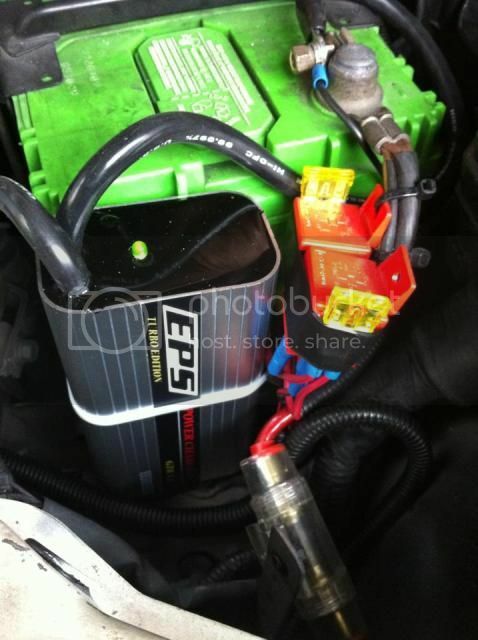 Battery Failure is often reported and the number one cause for breakdowns around the world. As a result, motorists are unnecessarily paying for call-out charges and more expensively, replacement batteries. With modern vehicles full of complex and sensitive electrical equipment that constantly draw current from the battery, an ever increasing number of mechanical faults from new and older vehicles alike are battery related. However, the expense and inconvenience of Battery Failure could be heavily reduced by regular battery maintenance. CTEK battery monitor provides you a simple and convenient way to check on a battery’s condition and gives warning when the battery needs charging. Getting a flat battery can be a frustrating experience, and you should never be caught out. The monitor, which can be left permanently attached to the battery, will instantly inform you of any problems with charge. Three LEDs on the front of the unit tell you exactly what’s going on with the powerpack. If the red one illuminates, there is a problem; orange tells you the battery requires attention, while green suggests everything is OK. The CTEK battery monitor and givea flat batteries’ an early warning. No more guesswork ! This clever addition from CTEK indicates the status of your battery so you know whether it needs charging or reviving. Why do we need to STABILISE the VOLTAGE in our cars? 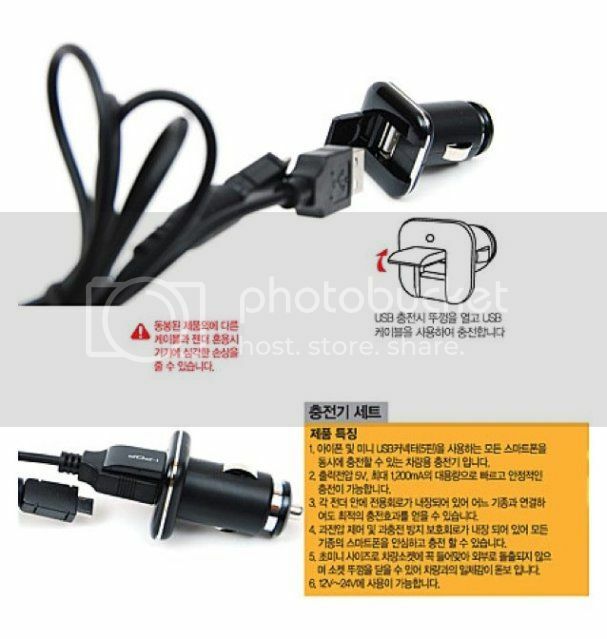 The function of Alternator in the car is to produce Electrical Power to run the engine and other Electrical Equipment and at the same time, charge the battery in the car. 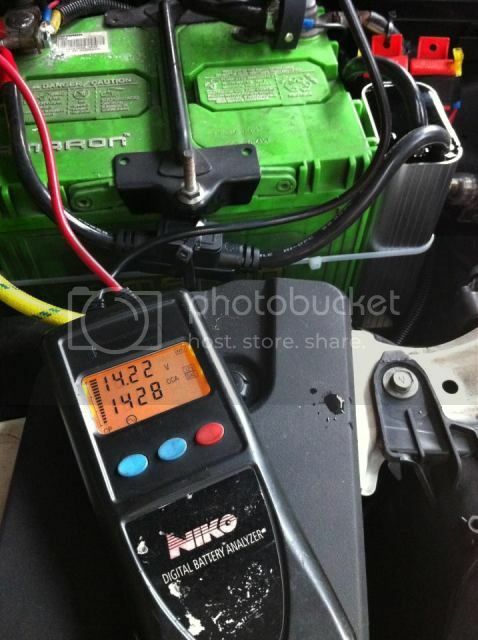 The voltage range produce by an Alternator is 13.5V to 15V. 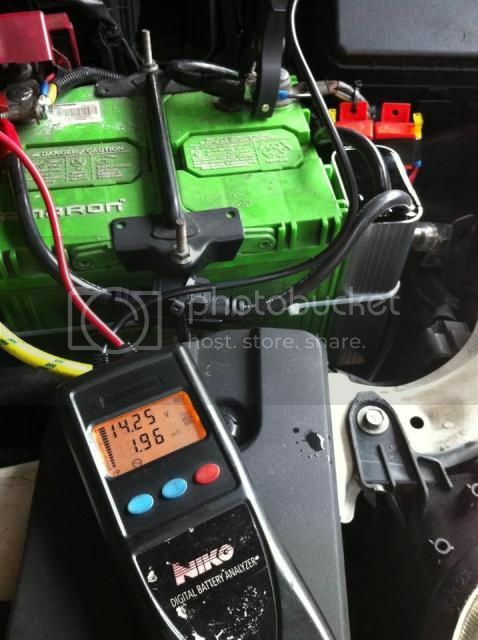 If you take a closer look at our car’s alternator with a digital meter or a voltage meter, the reading does not show any fixed voltage. This fluctuation of voltage from the Alternator is called ripper. This ripper will cause the voltage signal of the sensors and actuators to fluctuate as well, causing the sensors and actuators to receive irregular signals. 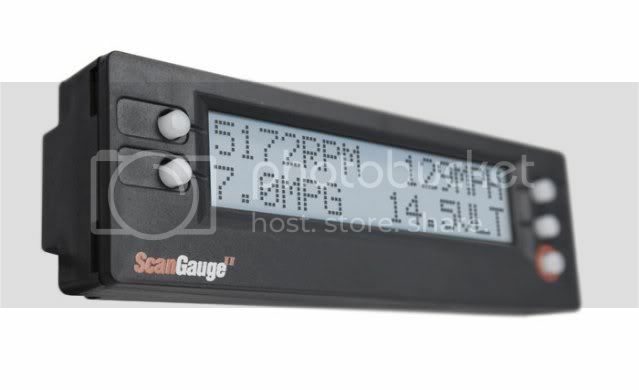 Thus producing inaccurate signals to car’s ECU and other electrical circuits and causes the performance of the car to be less than satisfactory. Sometimes, you may have noticed that high fluctuation of voltage (from voltage meter/gauge) and performance/power loss when loads ( such as air-conditioning, headlights, sound system, electrical/electronics components and parts and etc ) are switched on. 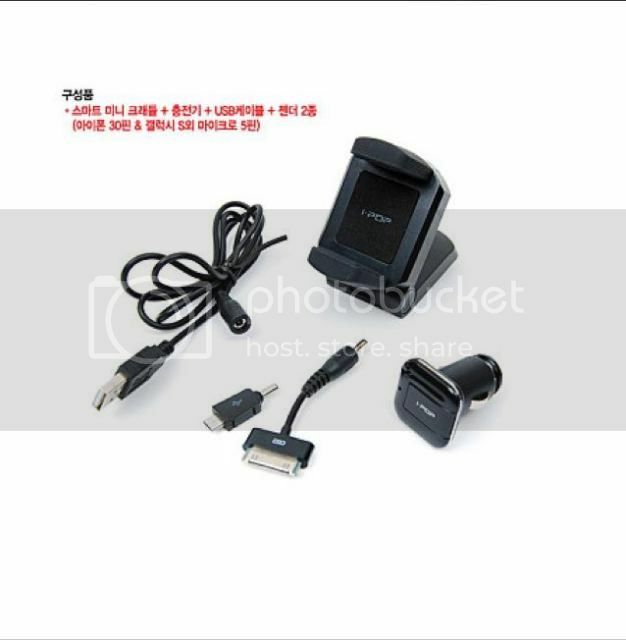 The function of the Power Charger is to minimize this fluctuation of voltage, backup power from alternator (voltage supply) and improve performance, power and responsiveness. The effect of this will be crisper signal to and from sensors and actuators. 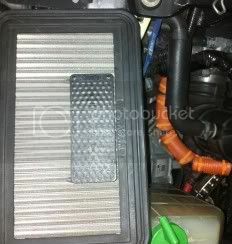 This will allow the ECU to more accurate with precision with little tolerance. 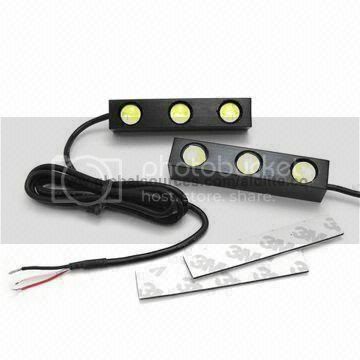 Therefore, accurate signal will produce more efficient engine output. 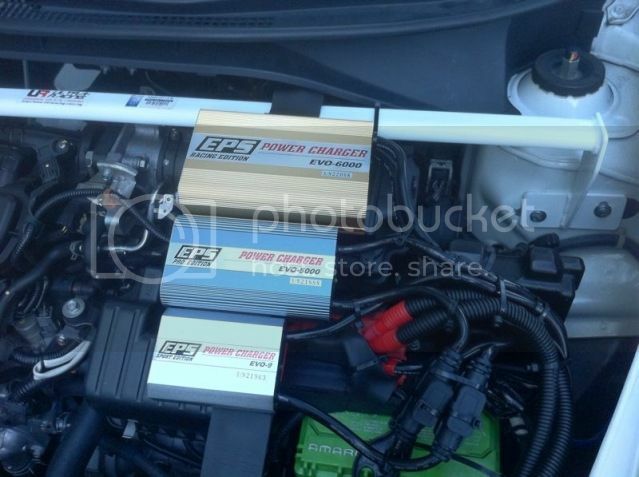 Why do you need EPS Power Charger in your car? EPS Power Charger is more than any simple and basic Voltage Stabilizer in the market. 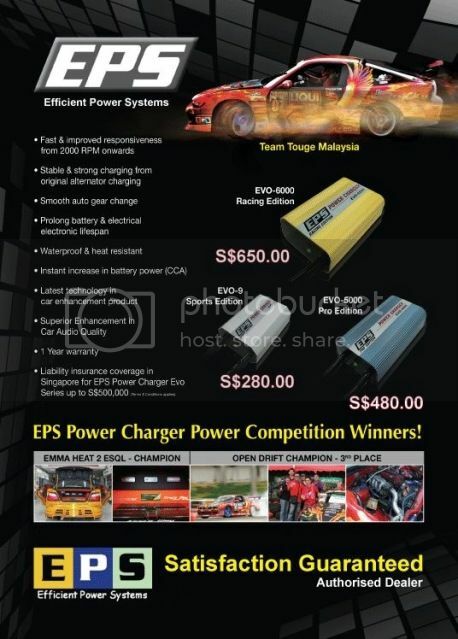 EPS Power Charger outperform any voltage stabilizers and other plug & play products in the market to improve responsiveness, power and performance not just on the car but also on the battery performance (Cold Cranking Ampere – CCA) instantly. 01. Stabilizes the power system, and excels the electrical discharge efficiency. 02. Reduces the noise interference to the electrical system, thus extending the life of electrical components. 03. Improve acceleration and responsiveness. 04. Improves car ignition, and saves the fuel. 05. 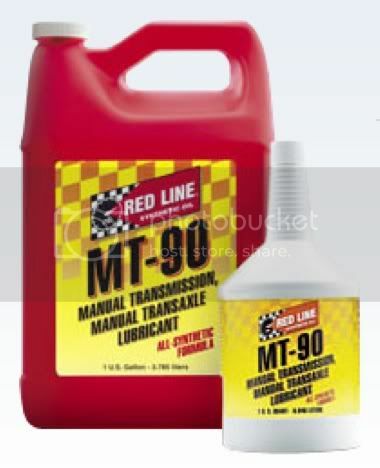 Reduces engine trembling, and enhances engine response. 06. Improves startup torque, and improves the stability at idle speed. 07. 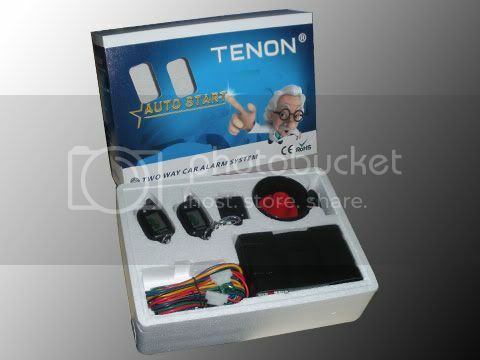 Eliminates noise from the alternator, and resolve the car's internal electrical system's impedance resistance problems. 08. 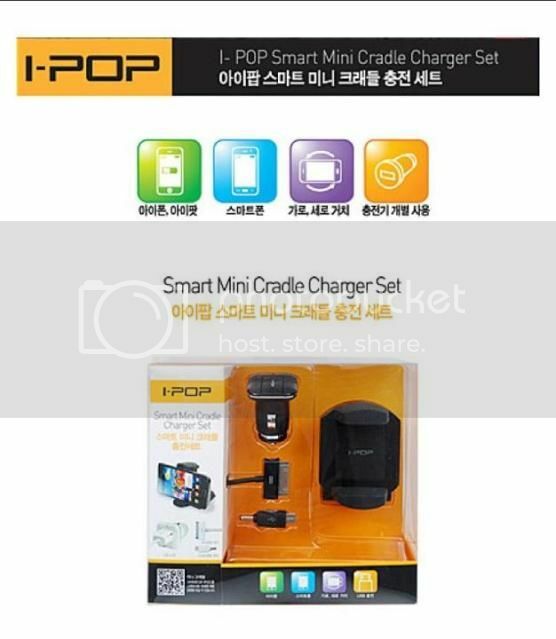 Increase battery Cold Cranking Ampere (CCA) performance instantly with lower resistance in battery. 01. Proven horsepower and torque enhancement. 02. Fuel saving up to 25%. 03. Prolong battery lifespan with increase CCA. 04. 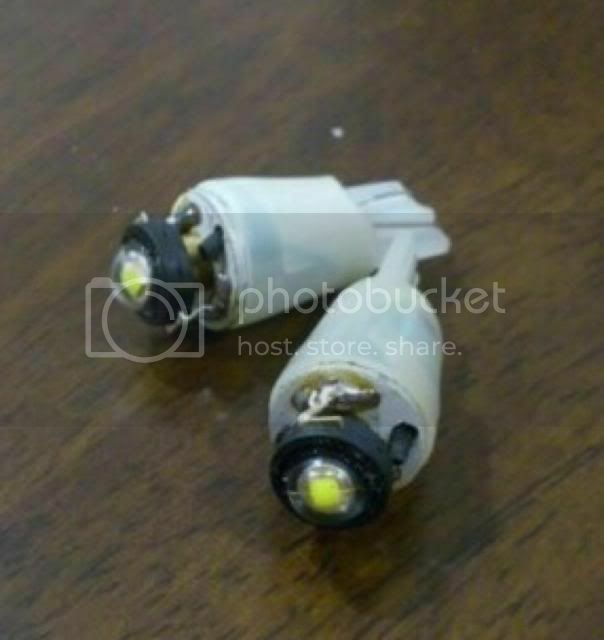 Power are resistant to high temperature, and waterproof. 05. Five SGS certifications for maximum safety protection. 06. 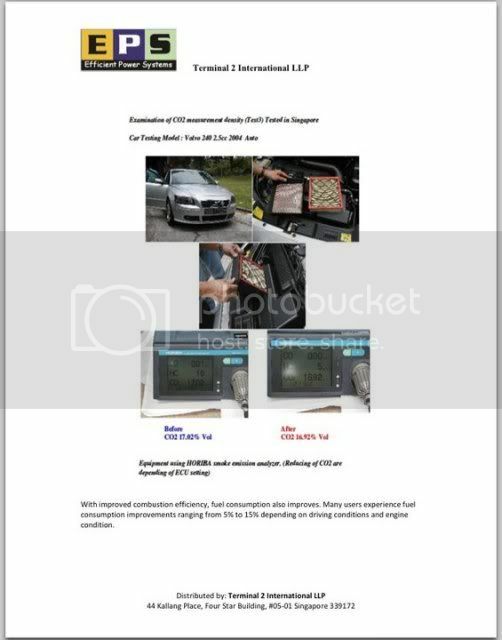 Reduce emission with better combustion in engine. Latest models : Evo 10 , GTR 3.9, GTR 5.5 and GTR 6.8 !!! Why is car grounding important ? Good ground from the battery to body chassis is very important for the proper operation of your entire car electrical system. A proper ground, believe it or not, will also helps in your engine idling properly, and also a proper spark gets to the spark plug. 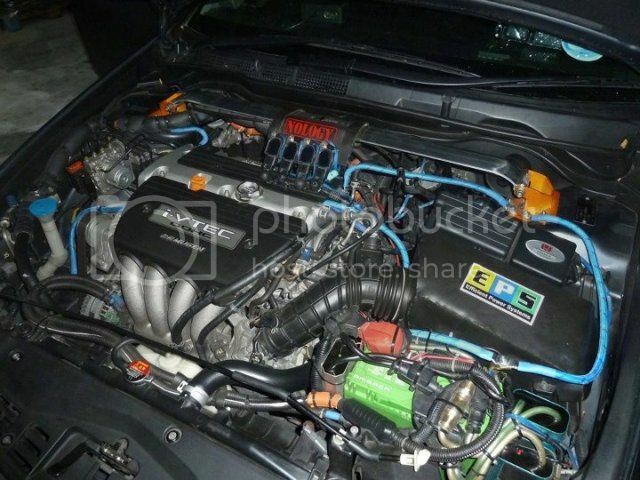 A proper ground will also ensure that your alternator / starter runs smoothly and efficiently. 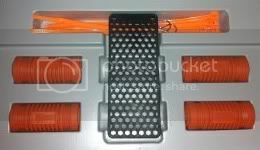 Most after-market grounding services are only providing copper wires which it is relatively cheap. It will oxidise easily, hardened and lose its conductivity. We are using pure 4awg silver cable which are better in terms of conductivity. Silver has the highest electrical conductivity for all metals and cables. 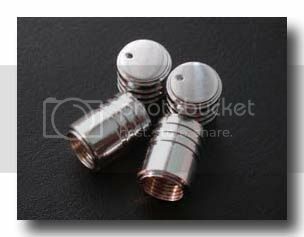 Stop playing around with spark plugs that feature Iridium electrodes, platinum electrodes, copper electrodes, fine wire electrodes, split electrodes, ring electrodes or multiple electrodes and get serious with Nology silver electrodes! 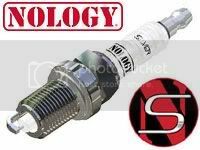 Nology Silver spark plugs are especially designed for high-performance engines. Silver is the best electrical and thermal conductor of any metal, which makes it the ultimate material for a spark plug's center electrode. 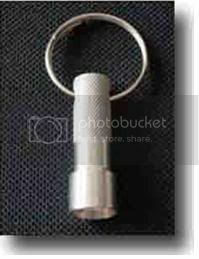 The large diameter silver center electrode increases spark carrying ability and spark power. Silver is extremely resistant to erosion, guaranteeing a virtually unchanged electrode gap for the life of the spark plug. Most Nology Silver spark plugs are without a resistor, perfect for performance enthusiasts who demand the most from their engines. 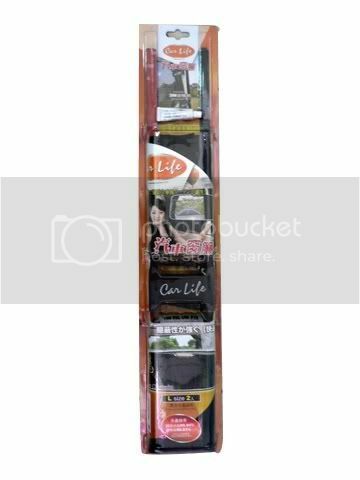 For racing or dependability and efficiency for everyday use, Nology Silver spark plugs deliver the most powerful spark.This makes Nology Silver the best spark plugs in the world. Torque Master Spark Plug ( Hand-made ). The Torque Master spark plug has been designed, engineered and manufactured to provide maximum horsepower, torque, fuel economy and reduced emissions. Our unique, patented "Field Effect" design also gives the Torque Master spark plug the ability to last many times longer than conventional spark plugs. We don't believe that..."Delayed Burn" can be completely cured because nothing is perfect. We do believe that with the installation of a new set of Torque Master spark plugs, "Delayed Burn" can be held to a minimum. Torque Master spark plugs make horsepower and torque on their own, no other spark plug can match this kind of combustion efficiency. The Torque Master spark plug will deliver 100% to 200% more spark exposure to the combustion mixture. 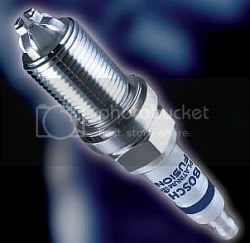 Bosch Platinium Ir Fusion Spark Plug. Bosch has introduced a new spark plug which it says promises ultimate performance and the longest serviceable life. It's called the Platinum-Iridium Fusion, and the claim is that it not only provides superior operation in all driving conditions, it even surpasses competitor iridium spark plug specifications. As its name suggests, the Fusion combines a patented...heat-fused iridium and platinum centre electrode with an exclusive surface gap firing technology.The latter features multiple spark paths through four yttrium-enhanced ground electrodes, and this delivers the most powerful spark for maximum horsepower. As for service life intervals, the Fusion is claimed to be good to go up to 100,000 km. 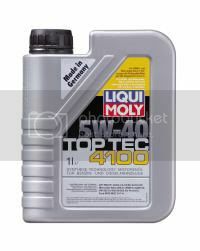 Top Tec 4100 5w-40 a top quality, state-of-the-art low-friction motor oil for use all year round. Guarantees a motor oil that provides exceptional protection against wear and reduces oil and fuel consumption, while ensuring that the engine is immediately supplied with oil. In addition, Top Tec 4100 is best suitable for gas fuelled (CNG/LPG) passenger cars. 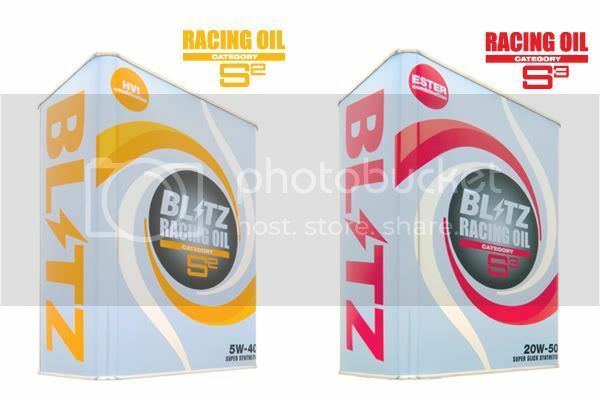 Blitz S3 20W-50 Fully Synethic Engine Oil. 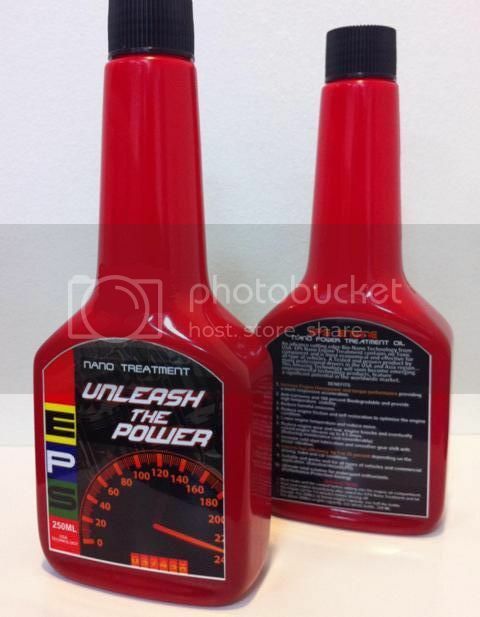 High Spec Racing Oil utilizes Polyol Ester and Polyalphaolefin (PAO) base oil to guarantee exceptional oxidation and shear stability with high heat resistance. The ester macromolecules form a coating by sticking to the components in the engine, which reduces friction and protect the engine from burns even at very high temperature with minimal pressure loss. 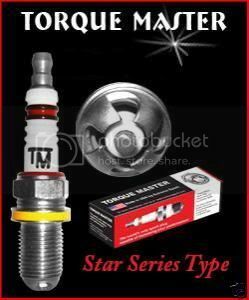 Suitable for high spec turbo charged or high rpm NA tuned cars. 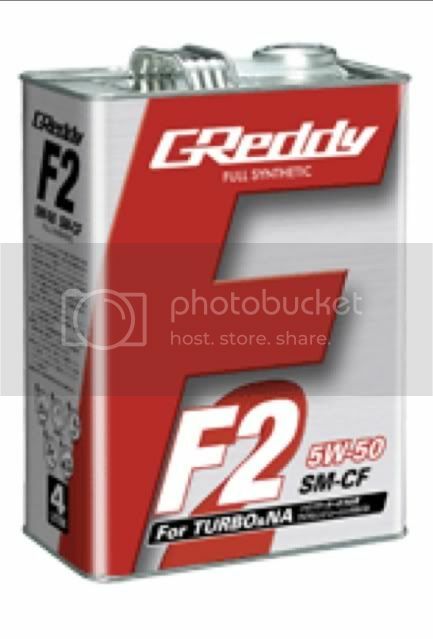 Greddy F2 5W50 Racing Oil is for high power turbo and naturally aspirated (N/A) engines. Hydride purified base oil contained. Keeps its good performance against the heat after long term use. For all mechanical L.S.D.. 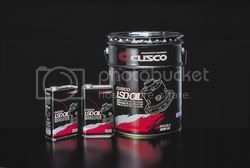 Developed by CUSCO, the most familiarized company with L.S.D.. Minimize the noise and vibration, and Maximize the Performance. Hydride purified base oil contained. Very purified base oil provides the higher performance against heat. 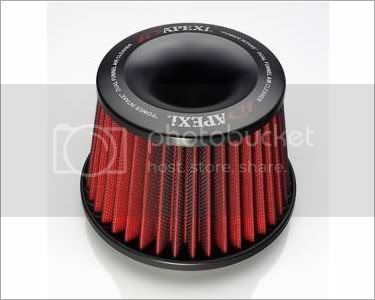 With specially developed Friction Modifier, the Oil minimizes the chattering noise and, wearing. Maximize the Life of the L.S.D.. Can be used for Transmission of the FWD or AWD vehicles. Multi-grade oil to be used under extremely high/low temperature. Good for all mechanical L.S.D, from daily use to competition use. 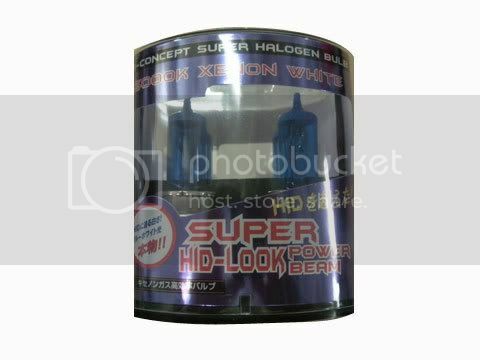 For rear L.S.D which is exposed by high load and heat with high performance engine, tire and suspension. 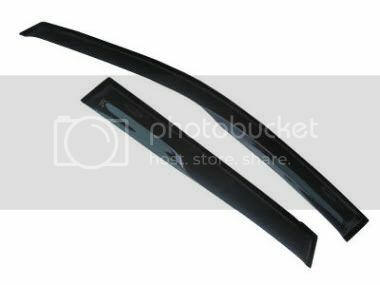 Fit for 4WD rear L.S.D & FR rear L.S.D. Also good for use in High temperature region and Hot Summer. For all mechanical L.S.D. A cutting edge Bio-Nano technology – EPS Nano, contains no toxic component, is the most effective and economical engine oil additive, will soon become emerging environmental technology products, features significant potential in the worldwide markets. Main ingredient：100% Natural Plant Based Bio Nano Additive. 01. 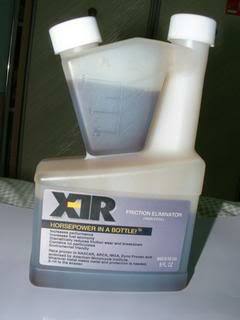 Improve horse power : Effectively increase torque, promotes smoother ignition and faster and responsive acceleration for a better result of high performance driving. 02. Cleaning up combustion chamber deposits : More importantly, it keeps the engine cool even for long hours of driving to protect the engine. 03. Reduce wear & tear on the cylinders wall : Eliminate engine knocks, restore lost engine performance and improve combustion, and extend engine life significantly. 04. Reduce harmful emission : EPS Engine Nano Power Treatment oil, the most effective engine additive, for alleviating urban transport related air pollution problems, so to protect the environment. 05. Smooth idling speed : Effectively improve engine idling after cold ignition start, with smoother gear shifting without vibration. 06. Lower noise level, particularly good for diesel cars. 07. Conserving fuel : Complete combustion of engine, increase engine efficiency significantly, and achieving fuel economy improvement between 5% to up to 20% depending on individuals' driving habit and car condition. 08. 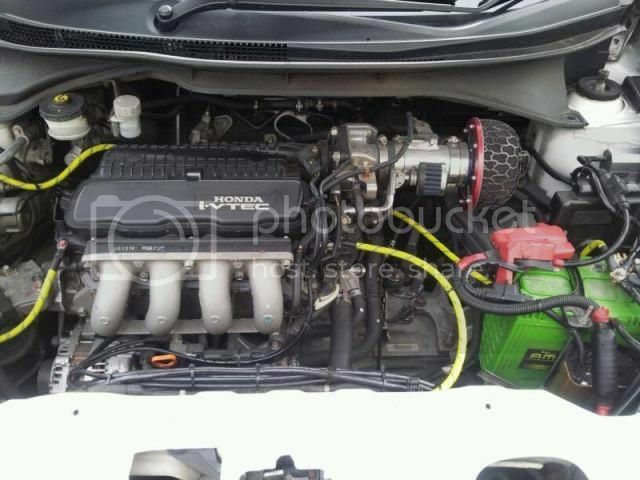 Extends longer engine life, the older the engines, the better the result, thus reducing maintenance costs considerably. 09. 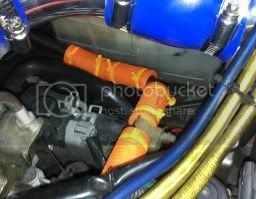 Works well for motorcycles, automobiles, diesel/gasoline/LPG cars, racing cars. X-1R is a revolutionary metal conditioner for the various vital parts of your car (or motorbike) like engine, transmission, gears, power steering and more! Just add X-1R to the oil, fluid or lubricants already in the auto parts (during every oil change). Subsequent oil changes require only half the amount. X-1R impregnates the pores of the metal to effectively reduce friction. Friction slows down moving parts and also causes wear & tear and breakdown! Save repair and fuel costs by protecting your equipment with X-1R! Race proven in NASCAR, ARCA, IMSA, dyno proven and endorsed by American Motorcycle Institute. One bottle treats all !!! X-1R reduces friction by an average 47% and lowers operating temperature thus preventing over-heating and breakdown! Reduces noise and pollution giving a cleaner and greener environment. 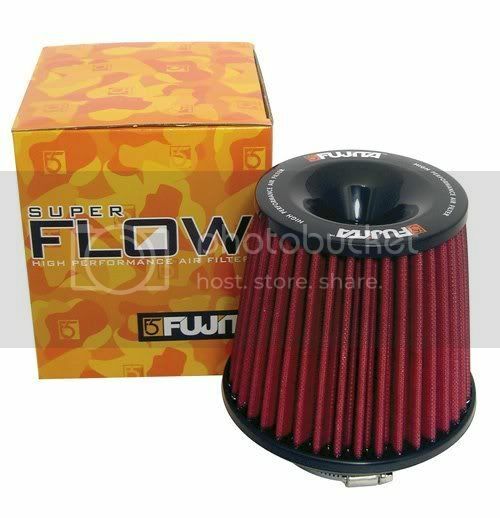 Increases fuel mileage thus saving you money! X-1R improves performance. 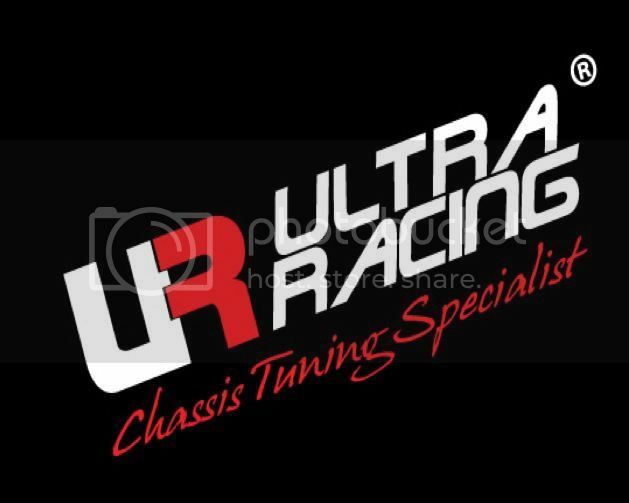 Tested and proven in the laboratories, on the roads, and on the racing tracks. Who are using X-1R ? Major companies using X-1R include: Lockheed (Kennedy Space Centre, NASA), McDonnell Douglas, Cummins Diesel, Coca Cola Corp., Otis Elevators, General Electric, Econo Rail, US Army Corps of Engineers, Amtrak, BMW (Florida), and many others. 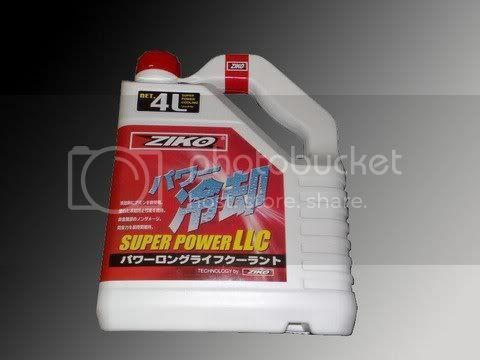 For the first usage, please add 2 oz for every 1 litre of engine oil used in your engine. 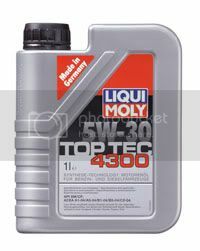 For subsequent oil changes require only half the amount (1 oz for 1 litre of engine oil used in your engine). MyGreenOil is a unique product that offers a cost-effective solution to three major problems related to the usage of fuel. MyGreenOil is a multi-functional fuel reformulator. When mixed with fuels, it will immediately reformulates fuel by changing its molecular structure, making it a super efficient combustion fuel performing at optimum value, resulting in cost savings to the customer. MyGreenOil can reformulate any kind of fuel such as; all kinds of gasoline, diesel, light fuel, medium fuel, heavy fuel (bunker fuel) and even bio-diesel. 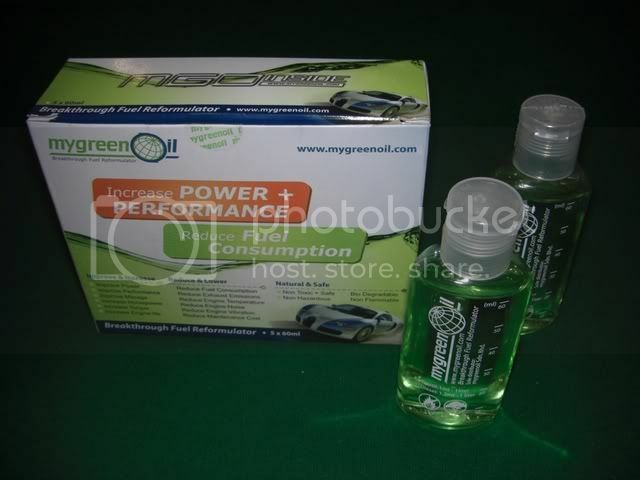 Latest environmental-friendly, fuel saving and improved performance and power product in the market called MyGreenOil. MyGreenOil creates economic savings when used for cars, trucks, RV’s, boats, motorcycle, diesel powered engines, generator sets, lawn, garden, farm equipment, furnaces, burners, boilers and industries that use large amount of fuel. Tank Otto is a professional product designed for fuel tank application in Petrol vehicles. It removes gums, tars, varnishes, laquers and carbons which build up in fuel lines, injectors, intake valves and compression rings between extended service intervals. It restores lost engine efficiency, reducing emissions and restoring lost performance. Price : $18 ( Per bottle ) - Best Seller !!! 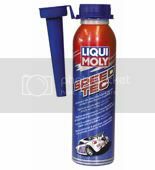 Liqui-Moly Speed Tec is a high performance fuel additive that significantly improves acceleration and throttle response by increasing combustion intensity. It’s far more than an octane booster, think of it as an energy drink for your engine – extra boost when you need it. - Ideal for track days and during conditions of high engine loads. 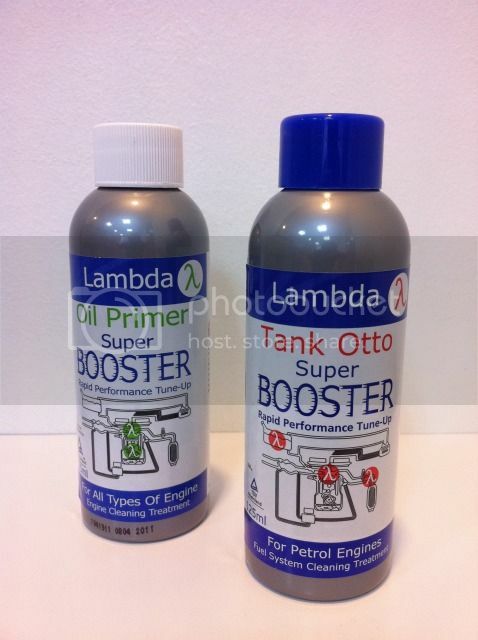 - Safe and effective for all 2 and 4 stroke petrol engines. It is designed to improve gasoline engine operation in areas where the octane rating (RON) is too low and causes engine knock, pinging, overheating and other problems associated with lowoctane gasoline. Raises the octane rating by up to 4 points. The all-round supplier of auto chemicals from Ulm in Germany has developed a service product which is particularly suitable for cleaning throttle valves. This active solvent dissolves and removes the deposits and contamination such as oil, resin and adhesives which are typically found in the intake system. With the special formulation and, above all, 60 cm long spray extension in the form of a thin, flexible tube, impurities can be removed from inner components just as they can from the injectors. 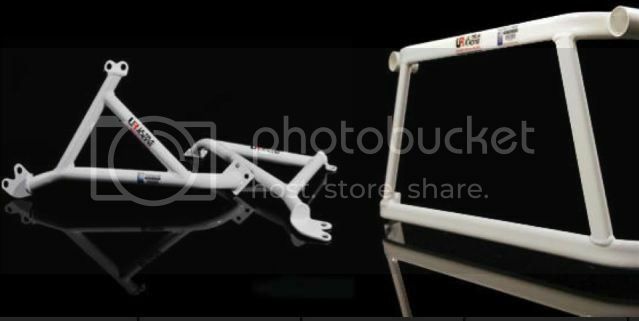 This cleaner guarantees the proper operation of all moving parts, reducing e.g. fuel consumption. Engines are subjected to extreme loads even under normal driving conditions such as town and ' commuter traffic, short journeys and traffic jams. This sort of use causes the build-up of deposits on valves, in the combustion chamber and in the carburettor. Valve Clean cleans valves, injection systems, intakes, carburettors and combustion chambers and keeps them clean. Clean engines save fuel. 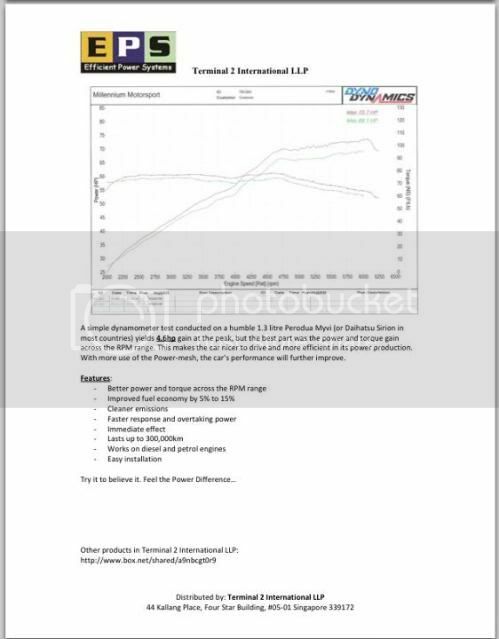 Promotes optimum engine performance and fuel utilisation. 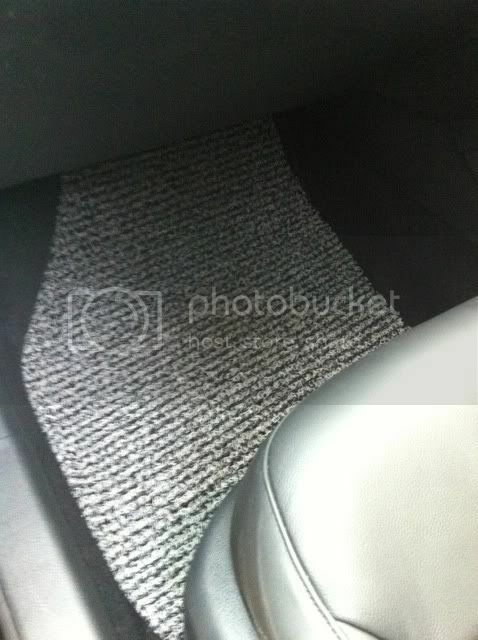 The combustion produces a lower level of pollutants and the engine is spared. 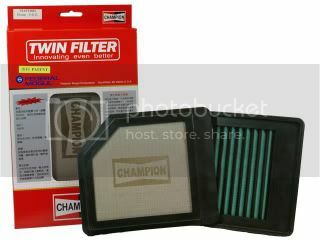 Protects against corrosion and carburettor icing. Tried and tested in turbo-chargers and catalytic converters. 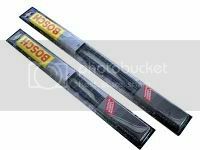 It is ideal for hi-performance radiators. Anti corrosion inhabitants guarantees long term performance and reduced temperature insure peak performance. The coolant temperature is reduced by 5-10°C. The duration of operation time for the fan can easily be shortened. Excellent performance in heat resistance and durability. 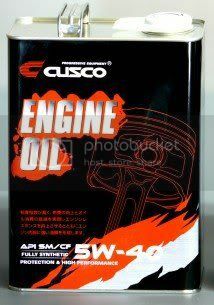 It is 5W90 GL-4 gear oil (similar to SAE 5W40/10W40 engine oil viscosity).P opular in Nissan, Mazda, Mitsubishi, VW/Audi, Lotus Elise/Exige, Toyota. It offers quicker shifts, perfect synchronizer coefficient of friction and is safe for brass synchros, as it lacks the reactive sulfurs found in most GL-5 oils that cause damage. It gives high performance gear protection and longer synchro life. It eliminates notchy shifting, even when cold. It satisifies the gear oil viscosity requirements of 75W, 80W and motor oil viscosities of SAE 40, 10W40, and 15W40. 01. Fixes most leaks in all types of water cooled engine including cracked heads, head gasket failures, cracked blocks, radiators, heater cores and water pumps. 02. 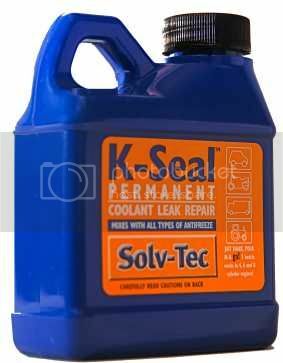 A repair made with K-Seal is permanent, guaranteed for the lifetime of the engine. 03. 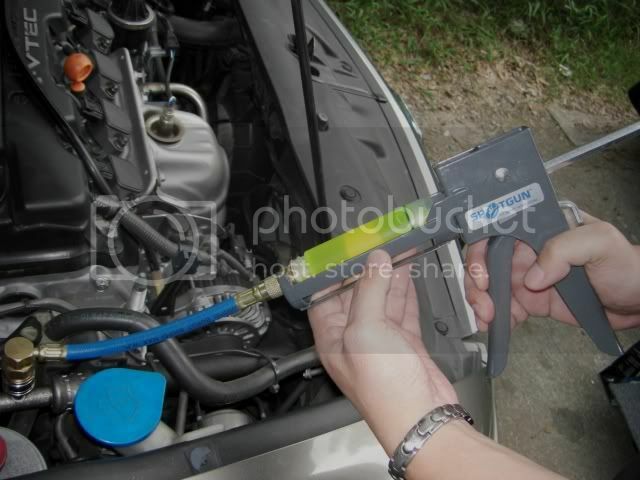 Unlike inferior coolant products, K-Seal mixes with all types of antifreeze and coolant. There’s no need to drain or flush the system before or after treatment. 04. K-Seal is easy to use. Shake the bottle; add it to the cooling system and go. Price : $30 ( Per Pair ) - Best seller !!! 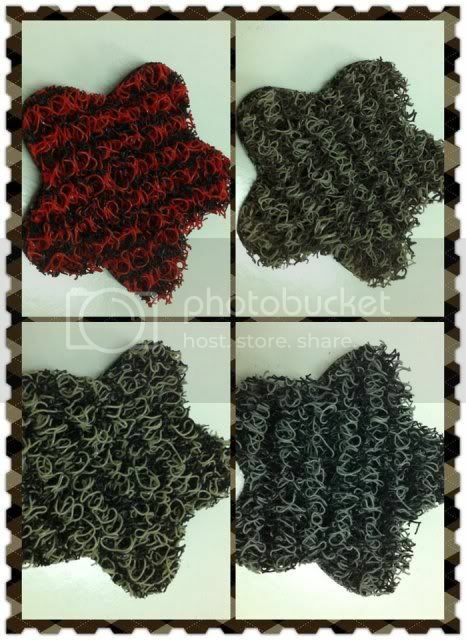 Price : $8 ( Per Pair ) - Best seller !!! 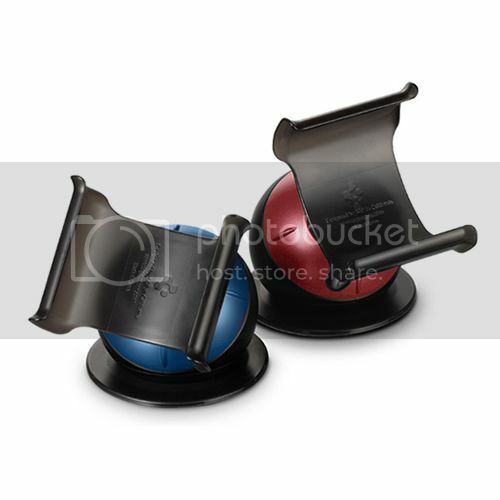 Price : $12 - Best seller !!! Price : $15 - Best seller !!! 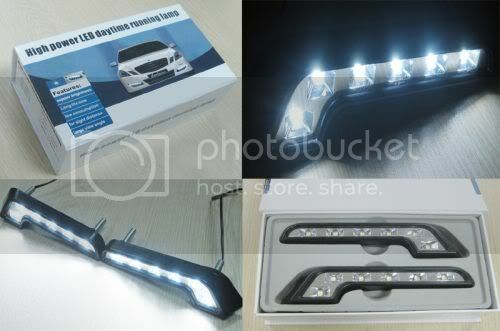 It produces 5,000K of dazzling white light, so you and your car can stand out from the crowd. 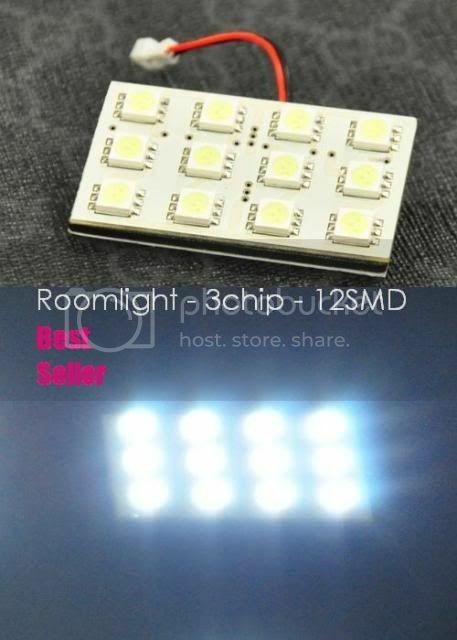 It produces 4,300K of bold white light that shows the world you’ve arrived. 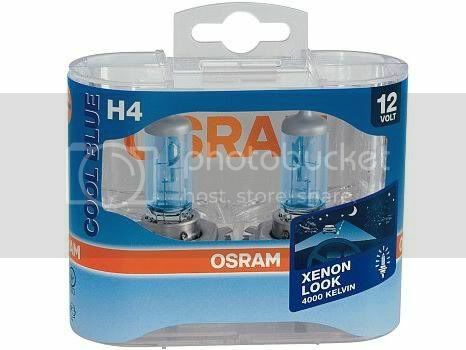 Osram Night Breaker Plus Halogen Bulb. 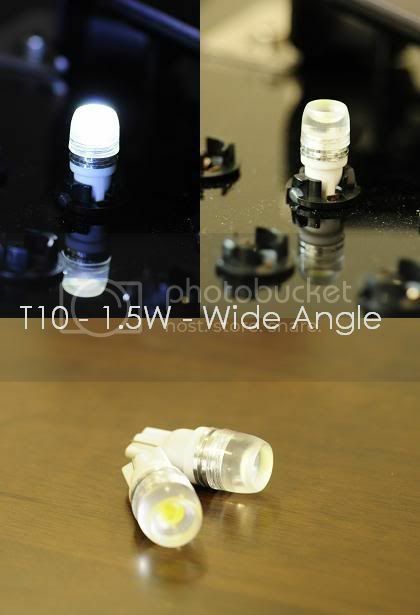 It is probably the brightest halogen light in the world - now with new technology for extra lifetime.This is the ideal lamp for drivers who want to drive with more light for greater safety. Thanks to a specially-developed high output coil and the blue ring coating, the headlight lamps of the Night Breaker Plus product family. 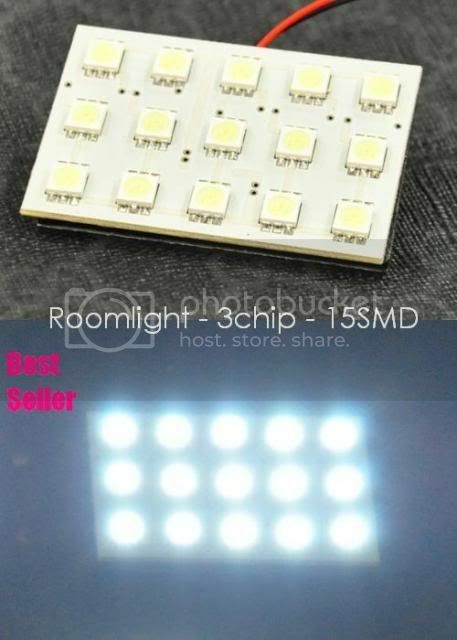 It shines up to 90% more light on the street, have an up to 35 m longer beam as compared with standard lamps. 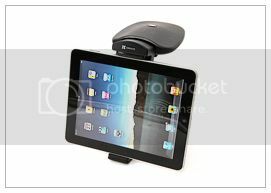 It is the latest multifunction design. 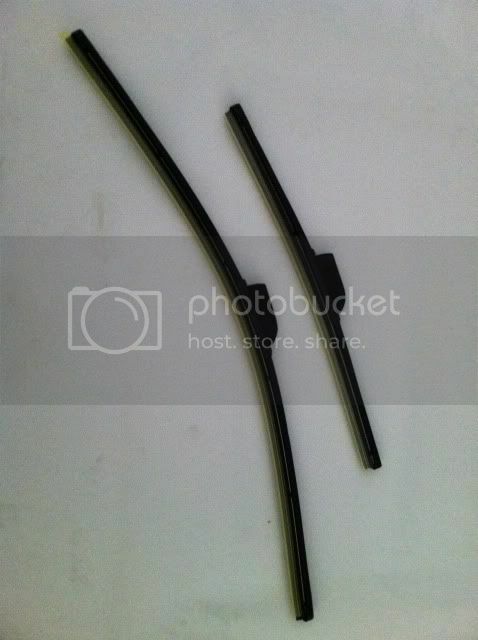 It can fit both universal hook arm and all kinds of exclusive original wiper blade arm. 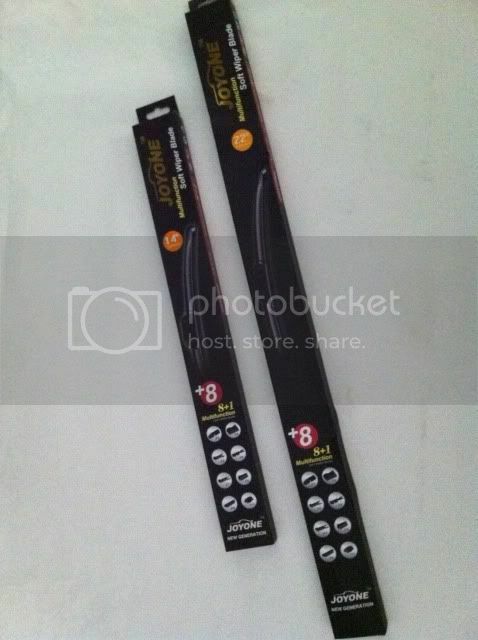 Comes with latest high performance rubber formula ( With teflon treatment ) which is more durable to heat and UV. The latest wind pressure design which can reduce noise and wind movement when the car is in high speed, makes the wiping more stable. Price : $45 ( Per Pair ) - Best Seller !!! 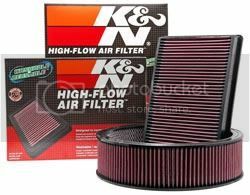 HKS’ high-performance Super Hybrid Filters are a direct replacement for OE panel filters when a factory airbox is required or preferred. 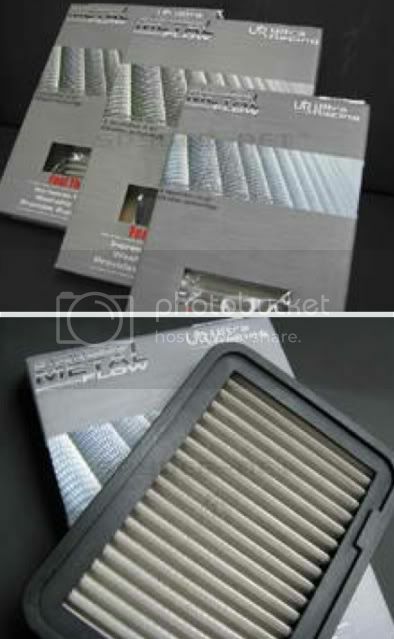 Super Hybrid Filters features a 3-layer dry-type filter. 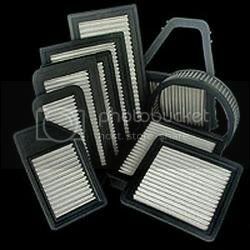 The filter element is bonded to a flexible nylon frame and offers a price-friendly performance alternative to a full intake system. What is Nano Technology System ? Nanotechnology is the creation of functional materials, devices and systems through control of matter on the nanometer length scale (1-100 nanometer), and exploitation of novel phenomena and properties(Physical, Chemical, Biological, Mechanical, Electrical.....) at the length scale. For comparsion, a nanometer is a billionth of a meter,or,about 1/80,000 of the diameter of a human air. A scientific and technical revolution has just begun based upon the ability to systematically organize and manipulate matter at nanoscale. A specific raw material obtained from natural ore emits the ray similiar to far infrared ray.This raw material.as chosen,has been utilized by light ray and transformed into "Qmax Nanotechnology"
Why do we need Nano Air in our vehicle ? 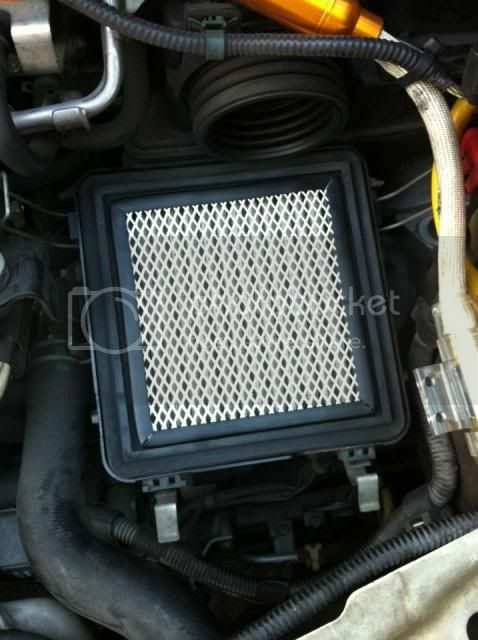 Many have the perception that changing a free flowing air filter would increase a cars performance and that's not entirely false. What another factor that causes restricition of the air flow is the content of the sir itself. 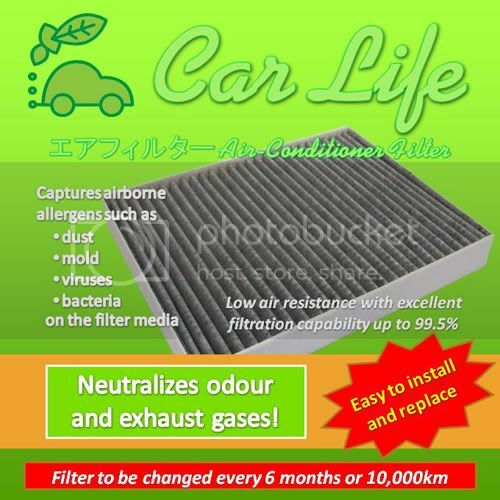 Changing the air filter could be a solution but now there is an alternative solution to optimise your current air filter to its fullest potential in turn saving you time and money on modifications. The Qmax Nano Air Management System is designed to energise air particles as it converts them into smaller particles while also energising it to be more active. Its function is simple it also converts more helium from the air which in turn increases the total burning surface area and hence improved combustion. 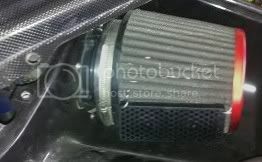 So esssentially it works together with the car's standard air filter to fully utilise the air sucked in resulting in the car performing to the best that if can be without modification. 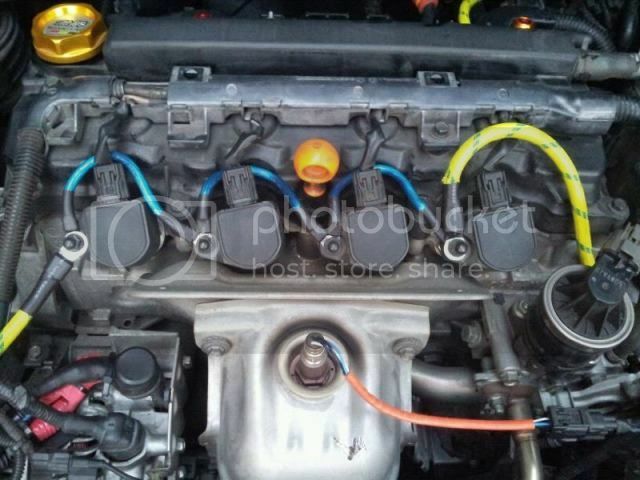 Also Qmax Nano Air is capable to enhance braking system's effectiveness,it works on the brake system with "Intake manifold vacuum hose" attached to master pump. Qmax Nano Fuel emits far infrared ray going throught the gas pipe to break down fuel molecules by leading the molecules to resonate. 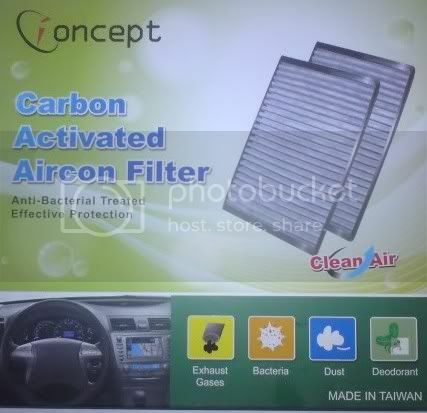 Thus, it can improve combustion efficiency after fuel molecules entering into engine and further enhances the vehicles horsepower and fuel efficiency. 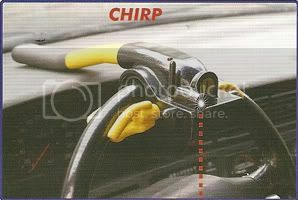 In case of expericencing difficulty of ignition,abnormal vibration or inevitable stalling. Qmax Nano Fuel is also capable to improve such conditions. 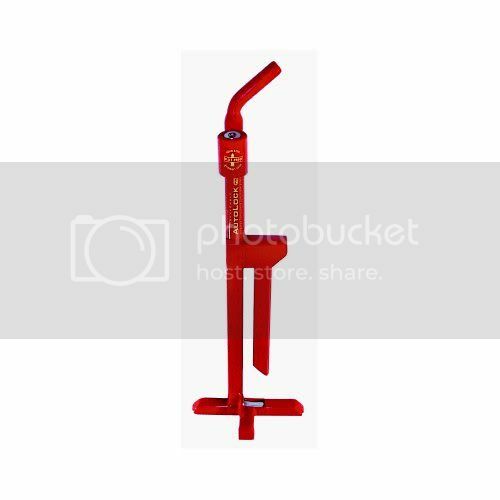 Main functions : save energy resource and money, improve horsepower, reduce carbon deposit, extend engine life, reduce emission and environmental friendly. Qmax Nano Fuel is designed for most motor vehicles. 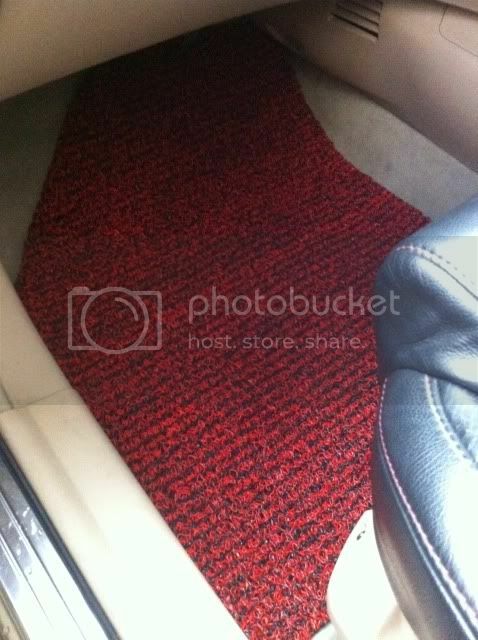 It can be used in cars, MPV, SUV, buses, trucks and so on. 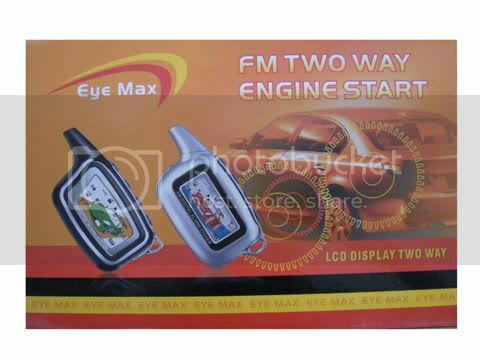 Suitable for engine running on Diesel, Petrol, Gas ( LPG, CNG, NGV ). 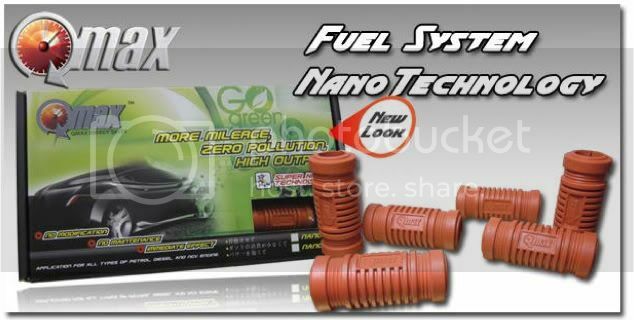 Why using Qmax Nano Fuel in my car ? 01. 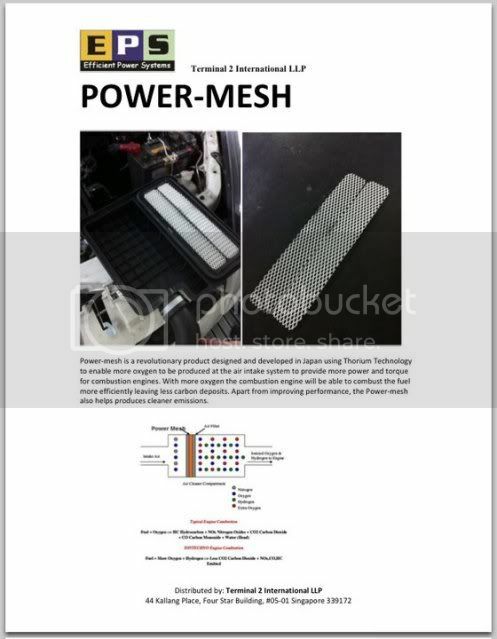 Improve carburetor / fuel injector function, better atomization, virtually complete combustion. 02. Improve low temperature working condition, keep combustion chambers clean, lesser carbon allow longer engone oil self life, extend engine life, best performance condition. 03. Fewer carbon desposit, resulting better engine efficiency, cleaner emission and increased mileage per tankful fuel. 04. 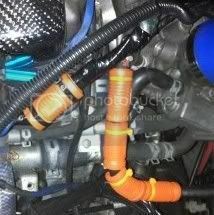 Easy to install, protects engine, extend automobile life, save fuel, improve horsepower / torque and reduce maintenace cost. Stop Wasting $$$ on your Fuel! Learn how to save your Diesel & Petrol, Improve your Engine condition and save our Environment with EPS Fuel Saver! 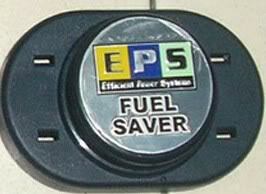 What is EPS Fuel Saver ? It is a fuel economizer and pollution reduction device, which utilizes magnetic hydrodynamic technology to improve the combustion of hydrocarbon (HC) fuels. It can be easily installed in minutes by installing it onto your fuel line just before the Carburetor, Fuel Injectors or Diesel Pump. 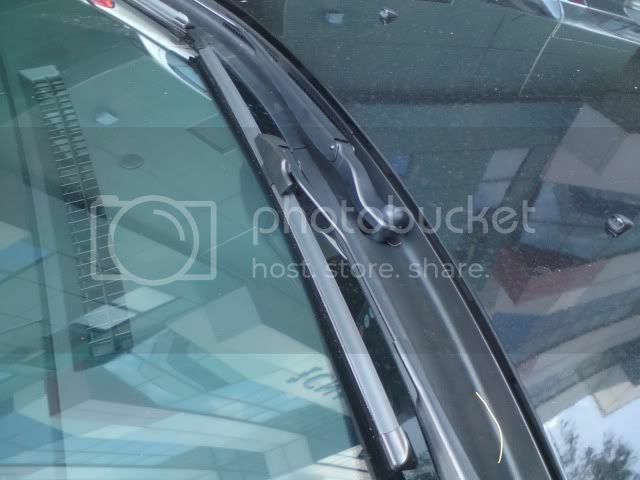 Imagine using a scratch remover on a car that actually repairs and completely removes the scratch, rather than just cover it up only to have it reappear after a few car washes. 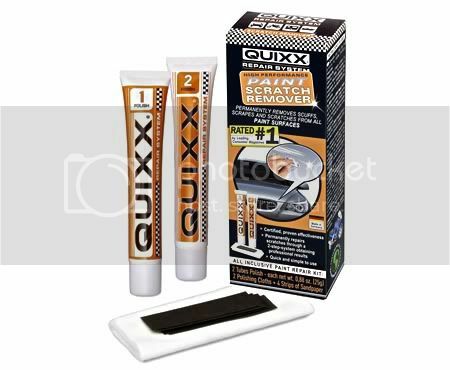 QUIXX Scratch Remover is a unique repair system that through a German engineered process called Plastic Deformation, effectively removes scratches from all paint finishes quickly and safely, saving you thousands of dollars in auto body costs. A preventative A/C treatment that improves performance and protects system components. Utilizing the World's best injection system each 1oz cartridge contains a high-performance additive package, which reduces friction, quiets noisy compressors, extends compressor life and rejuvenates rubber components. 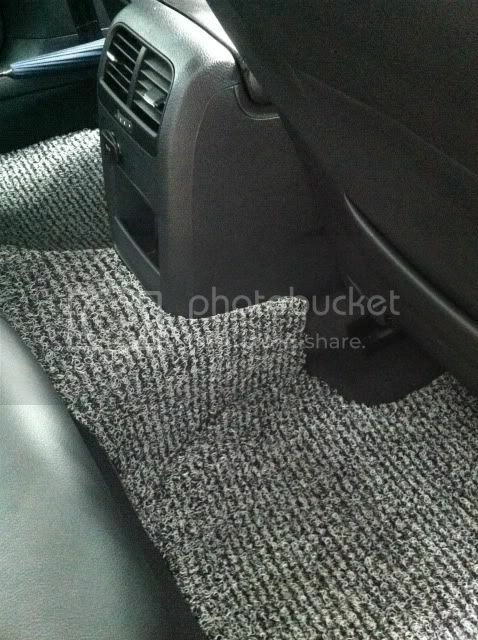 Also contains Universal A/C dye for easy leak detection. When the lock is tampered of disturbed, the built-in "High Power LED" will start flashing, causing thief's eyes to be uncomfortable. 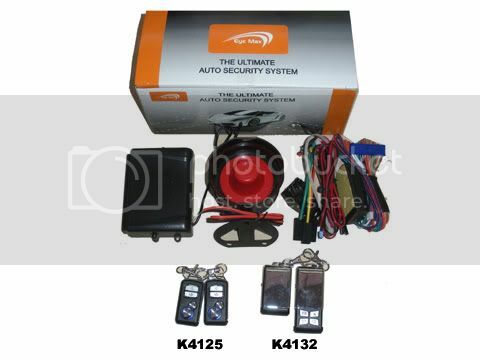 Electronic alarm protects the vehicle by activating the 130db siren. Design of the extended arm on both sides locks onto the steering wheels which makes the vehicle virtually impossible to drive, thus provides better security. Setting & release by remote controller. 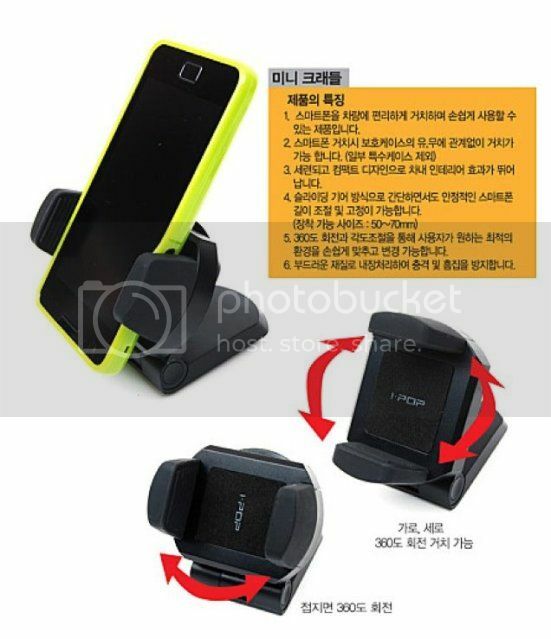 Price : $35 - Recommended !!! 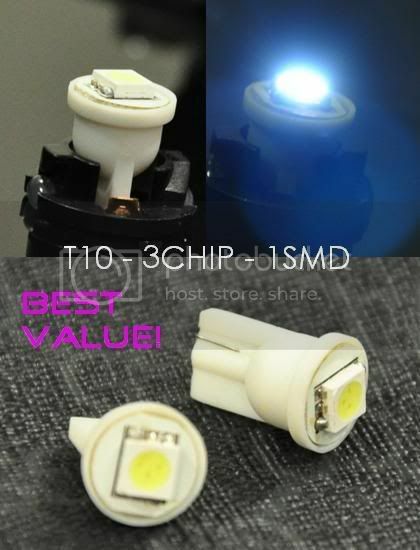 New good quality US product in town !!! Patented locking mechanism and key that prevents the caps from being unscrewed by hand. Once it is installed, they cannot be removed by using our BARE HANDS !!! Bro where r u located? I need to change wipers. Looking at Aerotwin.